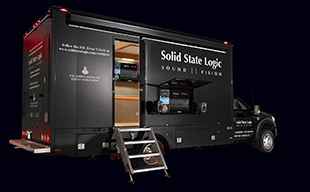 OXFORD, ENGLAND – Solid State Logic is extremely proud to announce the release of SSL Native v6. SSL Native V6 plug-ins replace SSL’s acclaimed Duende Native plug-in collection with completely re-written versions. The fundamental audio characteristics of the plug-ins remain unchanged but there have been a range of improvements which include new higher resolution user interfaces, improved Preset management, expanded purchase and subscription options to suit the needs and pockets of a wider range of users, and underlying framework changes that will ensure that SSL can fully support SSL Native plug-ins for many years to come. SSL Native v6 is available free to existing Duende Native v5 owners. SSL Native V6 and Duende Native V5 plug-ins should work side by side within your host DAW. For new users, a range of perpetual licenses are available for purchase via the SSL Webstore, and the complete SSL Native v6 Bundle is also now available on subscription for $14.99 per month or $149.99 per year via the Gobbler Platform.